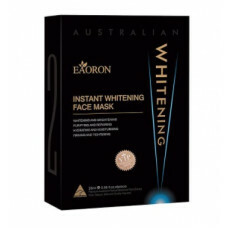 Eaoron Instant Whitening Face Mask 25g x 5 pieces!!! 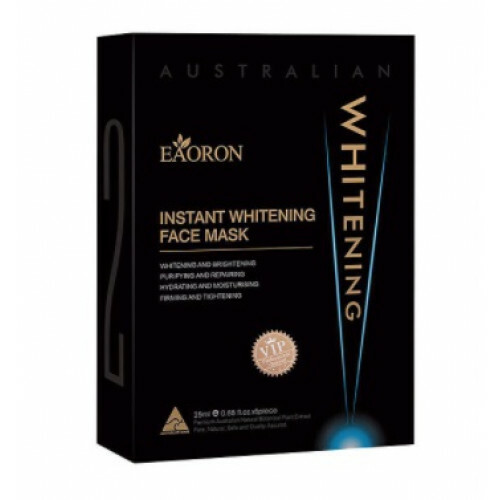 Eaoron Instant Whitening Face Mask is filled with whitening ingredients which help minimise the appearance of dark spots, smoothes out fine lines and illuminate the skin with a natural healthy glow. These fine 3D sheets adopted the latest technology and will make you feel like your second skin. Because it is biogradable, it is friendly to the Earth. It contains white tea leaf and apple fruit extracts to assist with the appearance of pigmentation. After cleansing the face, gently apply the mask onto your face and ensure your whole face is fully covered, avoiding contact with eyes. Leave the mask on for 15 - 20 mins for the skin absorb the essence. Peel it off and massage any remaining essence into your skin. Please avoid direct contact with eyes. If it accidentally touches the eye, please rinse thoroughly.If there are any allegics reactions to the product, please stop using it immediately.For external use only. Store in cool place or under 25°C and keep away from direct sunlight.